From large commercial flat roofs and steep sloped high-rises to stadium domes and cathedral steeples, we provide best-in-class commercial roof construction, replacement and restoration. A commercial roof is the type of roof you would find on a public or industrial complex. A commercial roof differs from a residential roof in the method of installation. It doesn't matter whether you are looking to install a roof on a mall, stadium, factory, church or school we provide the best commercial roofing service in Vancouver BC. From roof constructions to restoration and replacements, our commercial roofing company is qualified to handle all your roofing needs. The kind of commercial roofing types on your place of business depends mostly on the size and design of your building. 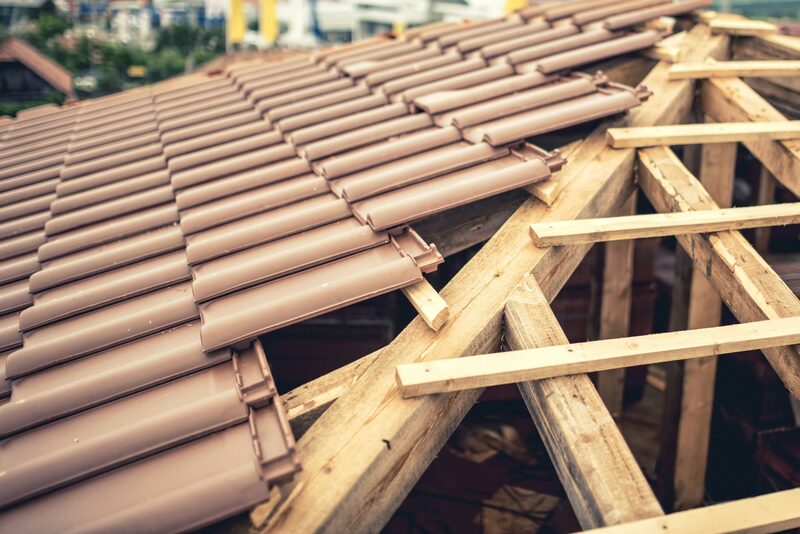 While the roof would mostly be designed to be flat, there are a number of ways in which you can add a roof to your building with our commercial roofing systems. The composition roofs are roofs that are made from two or more composite materials. We work with the best materials so you can be certain of quality and durable materials all throughout the installation. Learn more about composition roofs here. We also provide a variety of commercial flat roofing systems for your commercial buildings. These systems are designed and installed with the best practices to ensure that your property is protected from leakage and snow. To know more about flat roofing, visit this page. Another popular type of commercial roofing is the metal roof. They are the oldest type of commercial roofing options. Commercial metal roofing is done with the use of materials such as corrugated galvanized steel, tin or aluminum to protect an existing roof. To learn more about metal roofs, click here. We also install low slope roofs on commercial buildings around Vancouver. These buildings with a low slope on the roof are designed to make it easier for water to flow down the roof of a building. The installation process of these roofs is done with extreme care to ensure that there are no spaces or openings for water to escape. Find out more about low slope roof here. Hire the Best Vancouver Roofing Experts Today! Our commercial industrial roof experts receive extensive training and have completed many various types of roofing projects, ensuring that we are up-to-speed on the latest commercial roofing repair, commercial roofing technologies, commercial roofing materials, and commercial roofing installation methods. We are experienced at handling commercial roofing installations in Vancouver BC. We also handle commercial roof replacements. Don’t like the way your roof is looking and want your commercial building a modern appeal? Our certified roofing experts will give you and your home the special treatment you deserve by providing you with an affordable offer that is unbeatable. We understand that your project is important which is why we do our best to provide you with high-quality service. We work in any season be it rainy or stormy as we are dedicated to meeting all your roofing needs and completing your project with the highest level of workmanship. Do not hesitate to call us today if you have any questions. You can directly submit us your details for free inspections by filling up our form.